Posted on 31, March 2016 by EuropaWire PR Editors | This entry was posted in Aviation & Aerospace, Lithuania, Technology, Transportation & Logistics and tagged Anatolij Legenzov, EASA Part-145 certificate, HC120, HC135, HC140 helicopter, Helisota, MRO capabilities. Bookmark the permalink. Vilnius, Lithuania, 31-Mar-2016 — /EuropaWire/ — Helisota, an international provider of integrated maintenance, repair and overhaul services for rotorcraft, has extended its MRO capabilities by adding HC120, HC135 and HC140 helicopter types to its EASA Part-145 certificate. Following the successful certification, Helisota is now eligible to provide both base and line maintenance support for private and governmental HC120, HC135, HC145 operators. 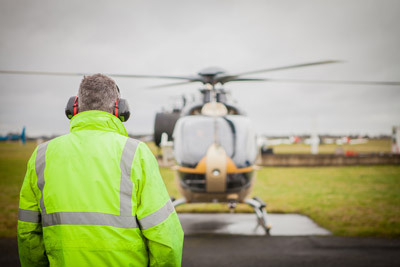 Previously produced under the Eurocopter brand, the helicopters are also known as EC 120 (Turbomecca – Arrius 2F), EC 135 (Turbomecca – Arrius 2B1) and MBB-BK117 (EC 145) (Turbomecca – Arriel 1E2). The company expects to welcome the first Airbus Helicopters model at its MRO base in Lithuania already in April, 2016.